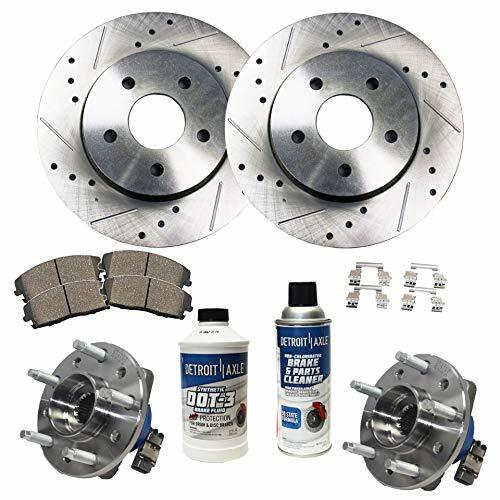 2x Front Wheel Bearing & Hub Assembly - Driver and Passenger Side - 513137 2x Both Front Drilled & Slotted Brake Rotors - S-55040 2x Front Ceramic Brake Pads (Hardware Included) - P-727 1x 10oz Brake Cleaner Spray & 1x 12oz Brake Fluid Bottle Fitment: 1997-2003 Chevrolet Malibu (w/ABS) 1999-2004 Oldsmobile Alero 1997-1999 Oldsmobile Cutlass (Rear Drum Models ONLY) 1999-2005 Pontiac Grand Am Detroit Axle wheel hub bearings and brake rotors are manufactured to exceed original equipment standards and provide a better riding vehicle. We are a leading supplier of ride control products to OE vehicle manufacturers Nationwide, that expertise translates to Detroit Axle's OE-quality Aftermarket. 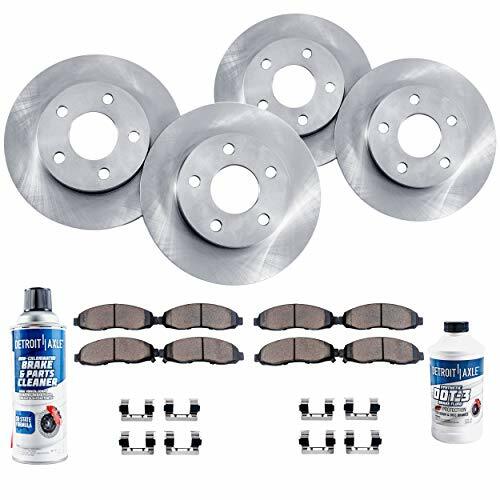 2x - Both Front Disc Brake Rotors: R-55040 2x - Both Rear Brake Rotors: R-55039 2x Front Ceramic Brake Pads (Hardware Included): P-727 2x Rear Ceramic Brake Pads (Hardware Included): P-698 1x 10oz Brake Cleaner Spray & 1x 12oz Brake Fluid Bottle Fitment: 1999-2004 Oldsmobile Alero 1999-2005 Pontiac Grand Am Detroit Axle brake rotors and pads are manufactured to exceed original equipment standards and provide a better riding vehicle. We are a leading supplier of ride control products to OE vehicle manufacturers Nationwide, that expertise translates to Detroit Axle's OE-quality Aftermarket. 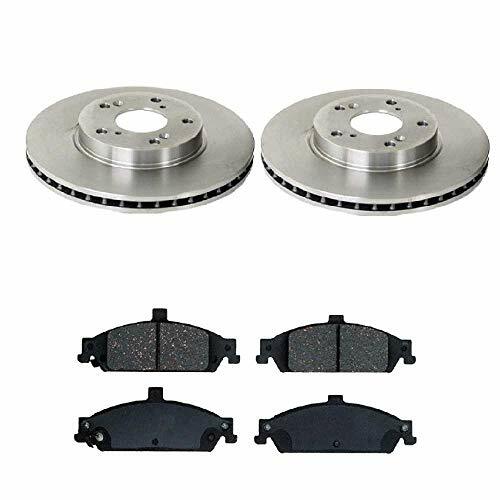 2x - Both Front Disc Brake Rotors: R-55040 2x - Both Rear Brake Rotors: R-55039 2x Front Ceramic Brake Pads (Hardware Included): P-727 2x Rear Ceramic Brake Pads (Hardware Included): P-698 Fitment: 1999-2004 Oldsmobile Alero 1999-2005 Pontiac Grand Am Detroit Axle brake rotors and pads are manufactured to exceed original equipment standards and provide a better riding vehicle. We are a leading supplier of ride control products to OE vehicle manufacturers Nationwide, that expertise translates to Detroit Axle's OE-quality Aftermarket. 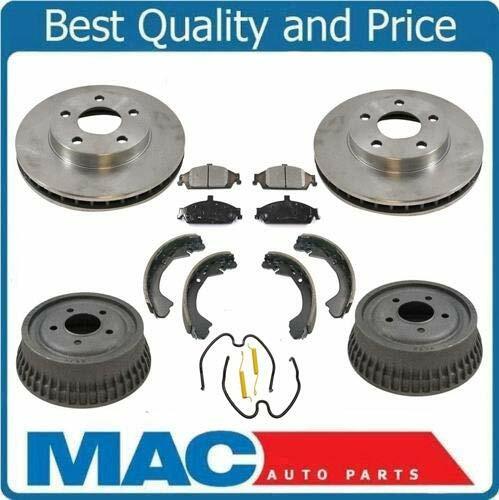 This item is a BRANDÂ NEW OE style replacement brake service kit. 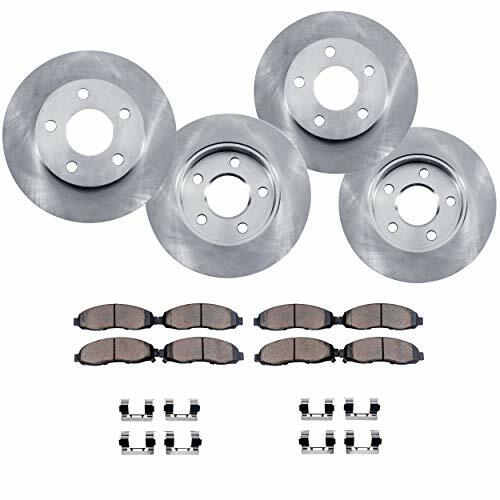 It will fit the following makes and models: 1997-2003 Chevrolet Malibu , all 2004-2005 Chevrolet Classic 1999-2005 Pontiac Grand Am , all 1997-1999 Oldsmobile Cutlass , all 1999-2004 Oldsmobile Alero Kit Includes: 2x Part# 55040 Front Brake Disc Brake Rotors 1x Part# CD727 Front Brake Pads Ceramic 2x Part# 8939Â Â Drums Â 8 55/64Â "Â Dia.Â XÂ 1Â 49/64 "Â WidthÂ Â 5 LugÂ Drum 1x Part# BS720 ,Â Rear Brake Shoe Set , 4 Shoes 1x Part# H7287 , Rear Combi Brake Spring Kit , Both Sides Note: Check that you haveÂ rear drum brakes before ordering Note, we have a large inventory of truck drums, e mail us your request and we will set up a listing for you. Fits the Following VehiclesOldsmobile Alero 1999 2000 2001 2002^Oldsmobile Alero 2003 2004^ Rear Disc BrakesPontiac Grand Am 1999 2000 2001 2002 2003 2004^ Rear Disc BrakesPontiac Grand Am 2005^Complete Brake Kits give you quality rotors paired up with the perfect performing pads to maximize your braking experience all in one. Please contact us if you have any questions at (888) 712-6623. 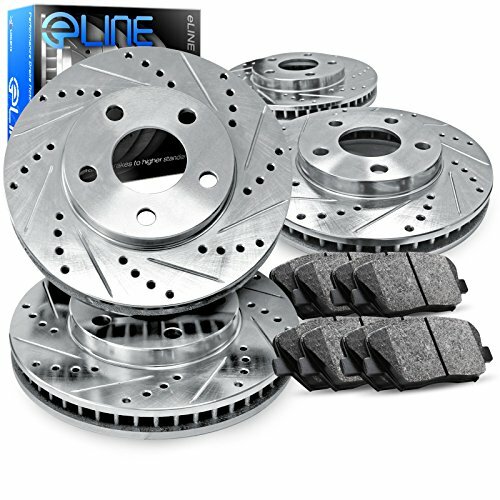 Install new front brake pads and rotors on a 2002 Pontiac Grand AM SE with a 2.2L Ecotec. This is how to change the front brake rotors on most cars out there. Please subscribe and thanks for watching! Follow us as we change the brake pads on our Grand Am. For help in jacking up the car, do a YouTube search on: g9dW2dPyUZE or on Yeechblitz jack up. 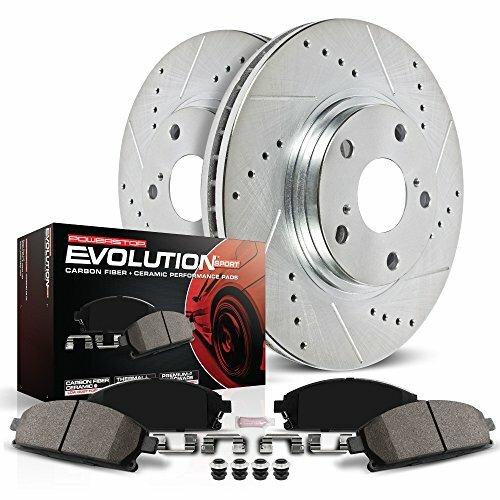 Looking for more Grand Am Rotors similar ideas? Try to explore these searches: Boston Red Sox Majestic Jersey, Handle Glass Slide, and Ring Dog Chew.